First up here’s the story of the fabulous artists Art Fitzpatrick and Van Kaufman who were employed by Pontiac to create beautiful, aspirational images for ads and brochures. 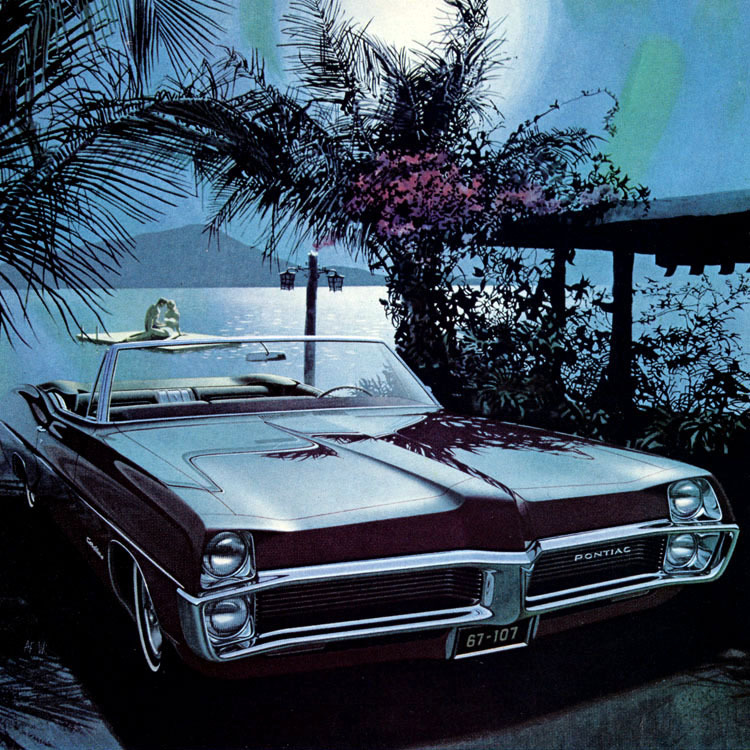 In the sixties most car companies were turning to photography to promote their wares, but Pontiac bucked the trend and used the prodigiously talented pair to conjure up sumptuous images the old fashioned way; with a paint brush. Fitzpatrick did the cars while Van Kaufman the scenes and they have had the world drooling ever since. Their images evoked optimism, glamour, youthfulness and the best of the jet-age. It may seem ironic that it was Pontiac that employed the dynamic duo’s manual skills as it had the reputation as being the most innovative brand under the GM umbrella. But even though they eschewed the technology of colour photography the images of Fitz and Van helped tremendously to move Pontiac up from seven to three in sales rankings. 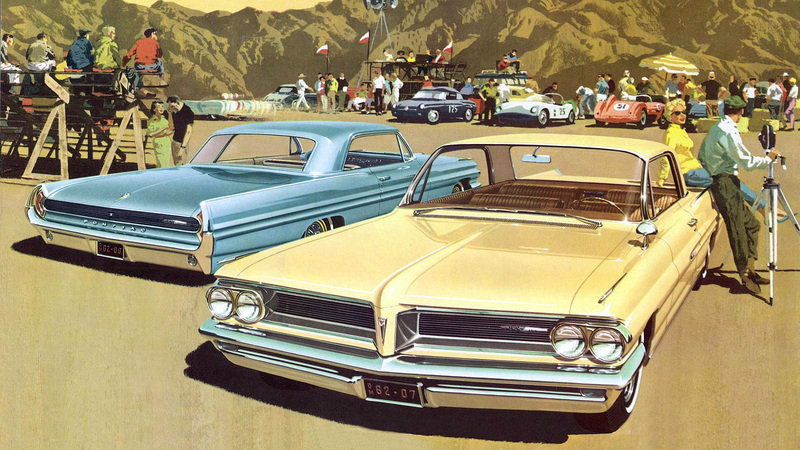 In fact the use of hand painted images by the marketing department at Pontiac can be seen as a classic example of original thinking and was genuinely innovative. Pontiac General Manager, John Delorean was so convinced of the power of skilfully painted images he declared that in terms of future marketing campaigns “Fritz and Van do it all!”. We love how truly Don Draper-esque this sounds and, seeing as Pontiac soared as a result, think it was genius. 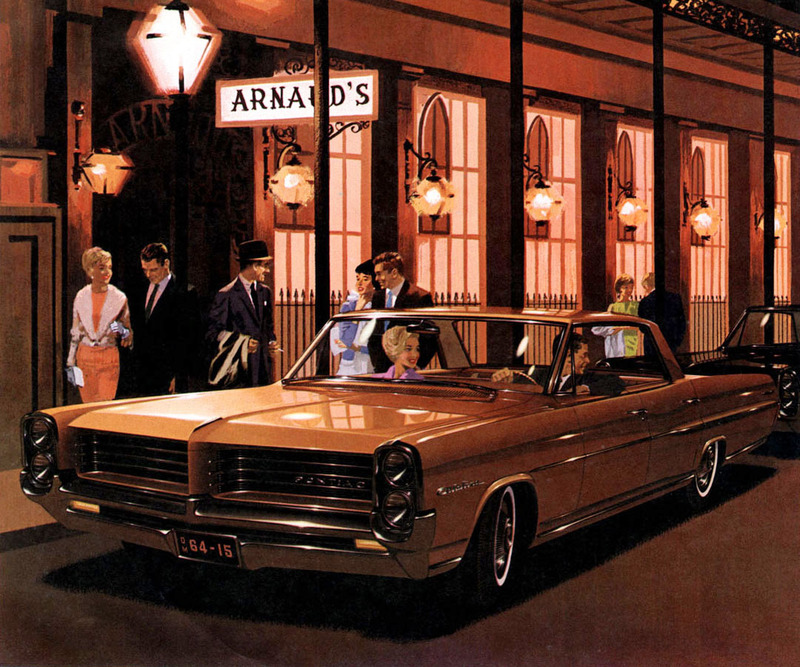 1964 Pontiac Pontiac Catalina – heading home after a night on the town. 1967 Pontiac Ventura – look at the lighting. 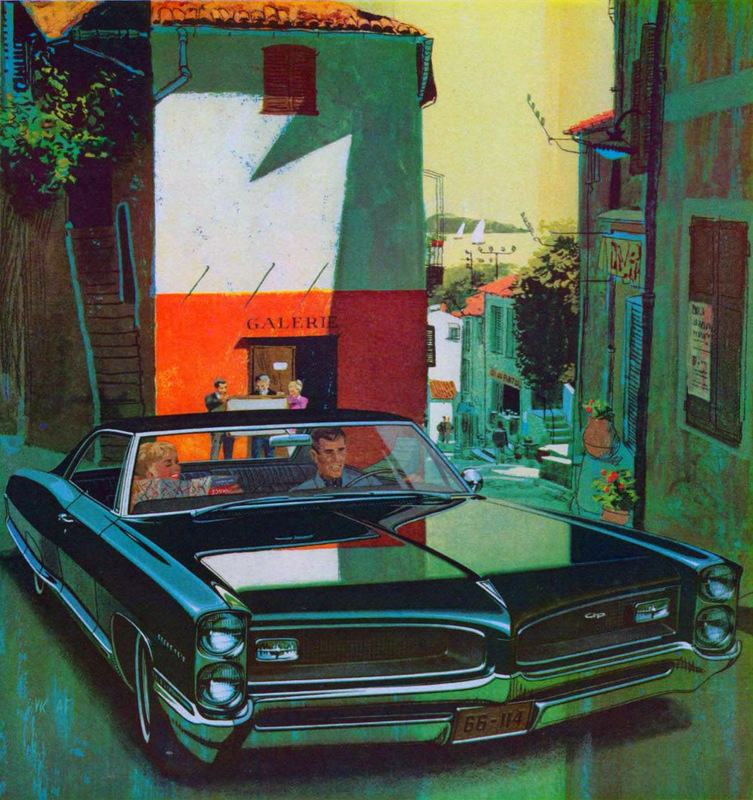 1966 Pontiac Grand Prix – perhaps not the most ideal vehicle for touring villages in Provence.